At the 2018 Toronto Garlic Festival, Little Trickle Farm will be selling cured individual garlic bulbs and garlic bunches. Patrick and Heather have been growing garlic for seven years and selling it since 2013. 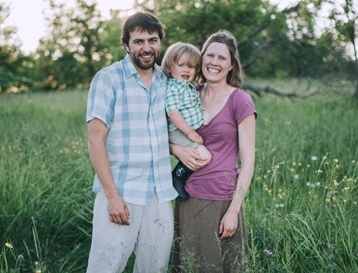 Little Trickle Farm is a small diverse farm raising grass-fed beef, pastured poultry, garlic and baking organic sourdough bread in the Ottawa Valley.